Thanks for the new Roman posting. The Romans were adept at this kind of defensive structure which protected their legions and auxileries. It was done to a plan matching the more permanent structures including headquarters tent, commandants tent, storage tents, and hospital tent. It was also laid out on the usual grid pattern. I did not know there had been one at Malham. Thank you for your comment BarryS. 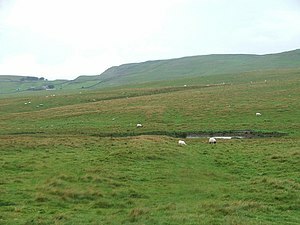 I had an idea there was a Roman settlement/camp somewhere in the Malham area because I had seen a comment on another website saying “is there a Roman fort above Gordale Scar”.